The Emery Chapter of the Future Farmers of America installed new officers at their annual closing banquet. 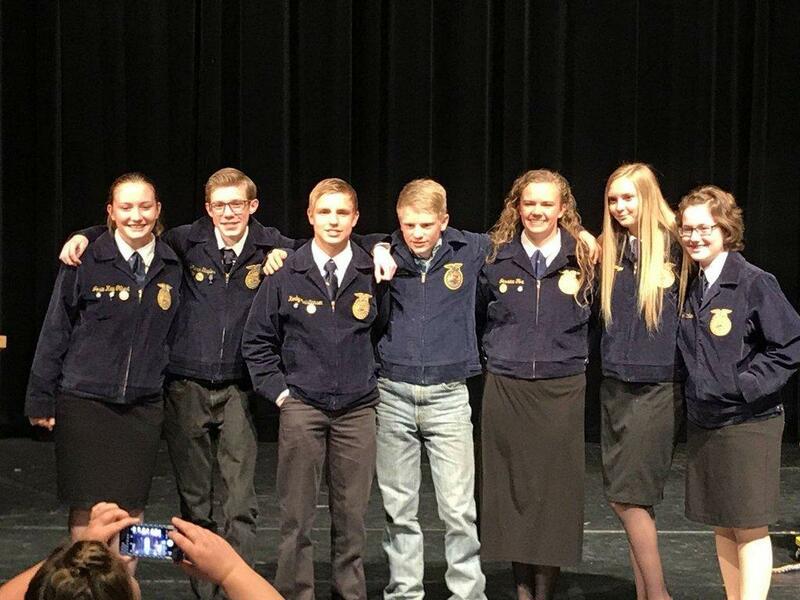 The President for the 2018-19 year is Josie Gilbert; vice president, Ethan Staples; secretary, Korby Christiansen; treasurer, Dani Jo Thatcher; reporter, Shaylee Grange; sentinel, Drake Weber and historian, Jessica Fox. The three retiring senior officers, Amanda Johansen, Thomas Behling and Riata Christiansen, spoke to the chapter members and guests. 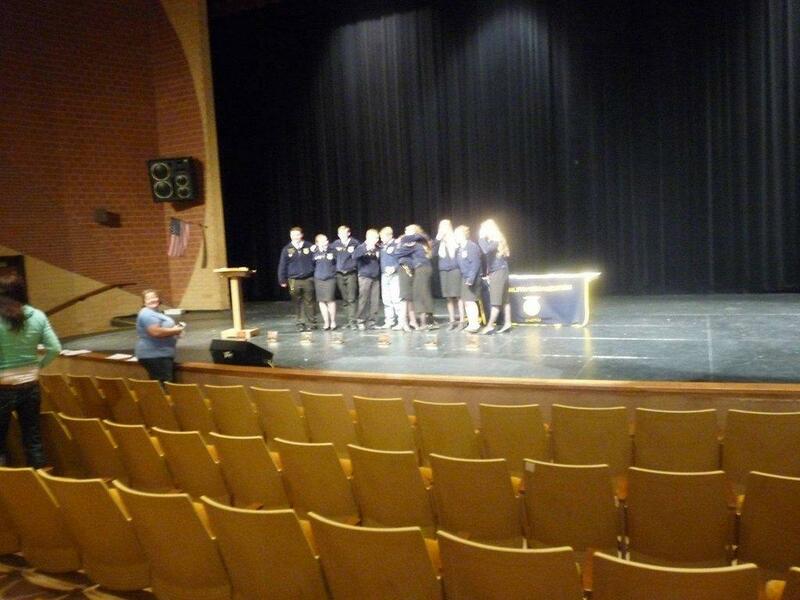 They recalled the things that have affected and influenced their lives through the FFA organization. Visiting state officers were Carlin Winters and Joslyn Bandley. 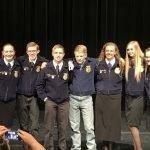 They joined Christiansen, the retiring chapter president, who was recently appointed as state president. Certificates were presented to Career Development Events (CDE) state and region placers. Mr. Justin Thornley, Emery FFA Chapter Advisor, spoke to the members and parents about the summer FFA program. He also requested that volunteers who would like to serve on a FFA Advisory Board to contact him. He would to get the board organized this summer.